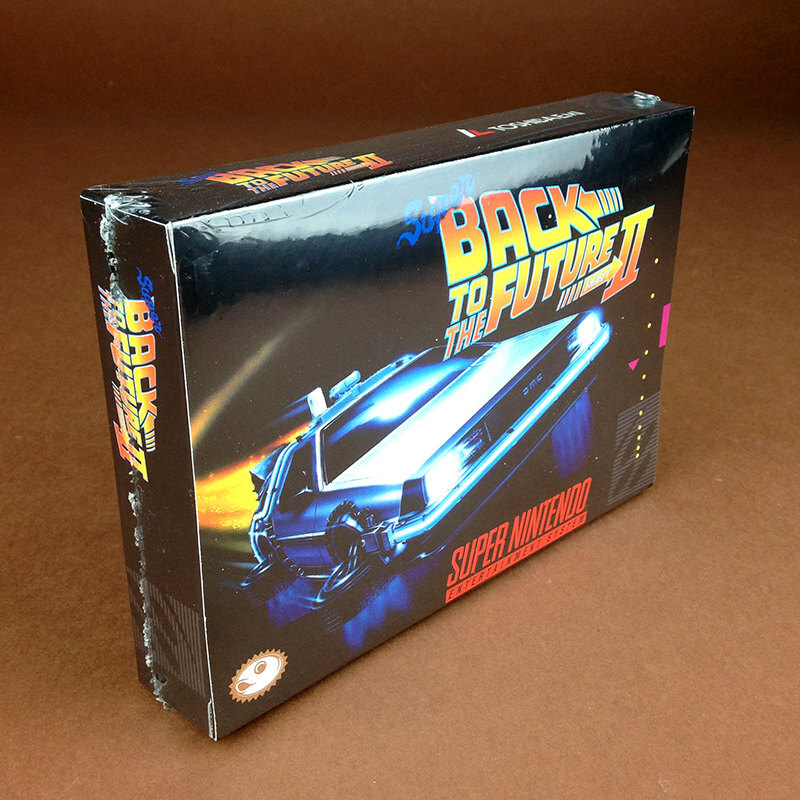 Super Back to the Future II is a video game released for the Super Famicom based on the film Back to the Future Part II. The game was produced and released by Toshiba on July 13, 1993 in Japan only. The game has since been translated and is now available to play on your SNES. Marty has returned from his bizarre trip to 1955 all thanks to Doc’s prized invention, the DeLorean time machine. He decides to do some skateboarding around the neighborhood and visits his girlfriend Jennifer. However, this is cut short as Doc arrives from his trip to the future. He tells them that their children’s future is at stake and proceeds to take them both to the year 2015. Here, Marty assumes the identity of his son Marty Jr. and faces off with Biff’s grandson Griff and then his gang members one-by-one. With Griff and his gang arrested time changes insuring Marty’s children lives stay on track. But when Marty and Doc are not looking, old Biff takes an oldsports almanac, hijacks the DeLorean, travels back to 1955 and gives the book to his teenage self. Then he returns to 2015 with Marty, Doc, and Jennifer none the wiser. When the three return to 1985, they discover that everything around them has drastically change. Hill Valley now plagued with crime and pollution, Biff Tannen is now Marty’s stepfather, and the Doc has been certified insane. Now Marty must go throughout Hill Valley and figure out what has happened and try put time back to the way it was.